According to what Ive been told, the Fritillary we have in Whites Creek Gorge, the Diana female survives until the bitter end of warm weather and lays her eggs in the brown leaves of over the hill violets. The babies hatch and crawl down for cover until spring. 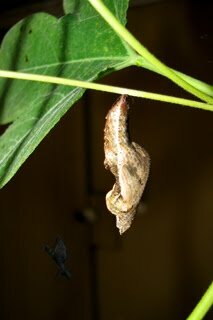 It will be interesting to see if this same behavior is vestigial in other fritillaries genetic memory. 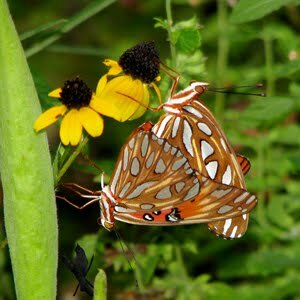 Including the Diana, there are five species of fritillary that overwinter in Tennessee in one fashion or another. The hardier species all rely on violets as caterpillar food, although the variegated fritillary uses several host plants. The gulf fritillary's dependence on passionflowers probably contributes to its more southerly distribution.